Keystone Colorado’s newest village, River Run is a waling village to lifts, dining, shopping, restaurants and festivals winter and summer with many designer lodging choices, from affordable to luxury. The accommodations that we have access to from Keystone condo rentals to short term and long term stay Keystone properties are a great way to experience River Run. Depending on which lodge you decide to stay at access to the Gondola and the ski lift can be as close as 30 yards away putting the mountain right in front of you. Keystone is a family resort destination with pools, hot tubs, play rooms, exercise rooms, pool tables, theaters in buildings and an extensive kids program called Ripperoo. There are lots of things to do within a short walk from getting a coffee at Starbucks or Inxtop or many of great restaurants including Zuma Road House, Kickapoo Tavern, two Italian restaurants and several more. In the center of the River Run Village there are two firepits for the kids to make smores (Inxtop sells a smores kit including the stick) or go skating on the huge frozen lake (at the Lake Village) or a smaller rink in River Run. Don’t forget that Keystone Colorado offers exclusive night skiing and there’s also a tubing hill for fun. For more information on any of our Keystone Colorado lodging options in River Run, click on the lodges name below. Arapahoe lodge sits in the middle of the action at River Run Village. This beautiful property is in the center of town and a short 100 yard walk to the Gondola and ski lift. 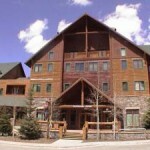 The Arapahoe Lodge is a prime location to get the most out of your Keystone Colorado vacation. A few of points of interest located within or near the Arapahoe Lodge include underground parking, connected to the community pool, the only lodge with a convenience store and liquor store, the Wolf Rock Tavern below, and plenty of shopping at the front door make this a family fantasy resort. 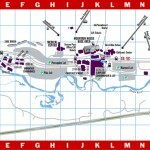 Within River Run Village, Buffalo Lodge sits near its center. 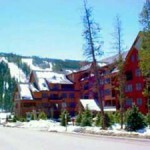 Only 100 yards from the Gondola and ski lift, the Buffalo Lodge in Keystone Colorado is a prime location for a great place to stay for your River Run Village vacation. We have underground parking for your convenience, a community pool, and with our central location we are close to everything River Run has to offer including a convenience store and liquor store, restaurants, and plenty of shopping. Our property in the Red Hawk Lodge includes a master bedroom with a wood Queen bed, TV and a couch with a pull out queen size bed that sleeps two. The unit can sleep 4 comfortably and includes an open large bath. This property is well maintained and offers a feeling of a home away from home. A home with many luxuries included with a coffee maker, ample dining ware, dining and cooking utensils, newer furniture, paint and carpet. Vaulted ceilings create an open and large feel. Help make your Keystone Colorado vacation a great one with the Red Hawk Lodge. Silvermill Lodge is right in the heart of River Run Village. Sitting just 75 yards from the base of the Gondola and the Summit Lift, this Keystone Colorado lodging establishment puts you closer than the skiers’ parking lot. We also have an underground, heated parking garage for all guests. The pool for this property is connected to Dakota Station. Your room key will give you access and towels are provided at the pool area. The Springs is just 30 yards to the base of the Gondola and ski lift. It is on the river and bike path. Our property is located in an ideal vacation spot. Resting on the edge of a stream with views of the mountain, The Springs is a scenic choice with prime access to the Gondola and ski lift, just 30 yards away. A 2 minute walk across the bridge out back will lead you to River Run Village. If you are looking to explore more of Summit County there is a shuttle that stops 50 yards from our door to take you anywhere in Summit County. 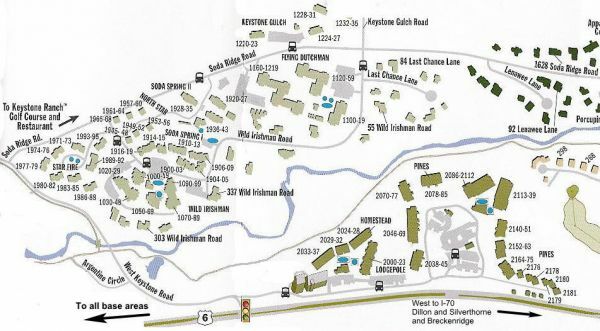 Our easy access location gives you lots of options within short walking distance whether you are looking for a cup of coffee from Starbucks or Inxtop or dining options from several great restaurants like Wolf Rock Tavern, The Spoon Bistro, Luigi’s or Kickapoo Tavern. In the center of the River Run Village is a firepit for the kids to make smores (Inxtop sells a smores kit including the stick) or go skating on the huge frozen lake. 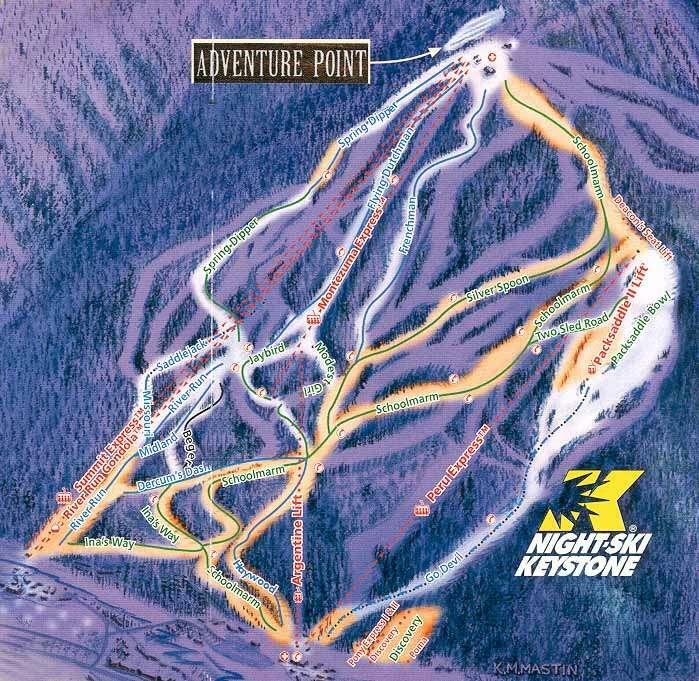 Don’t forget that Keystone offers exclusive night skiing and there’s also a tubing hill for fun. The Springs Lodge has a pool with slide, walk-up kiddy pool, play room, theater room, two hot tubs, fire pit, grill, gym, pool table area, and steam shower. The entry is a two story vault with a waterfall into a stream and a beautiful sitting area. Guests are welcome to use our heated, underground parking. The property and the location are perfect choices for an unforgettable Keystone Colorado vacation and unparalleled in Summit County. If you want convenience at an amazing price, Mountain House is for you. Mountain House is one of the first Keystone Colorado’s lodging properties right near the original base area of Keystone Colorado. 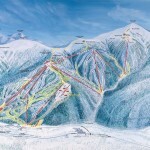 Located within walk or short shuttle to all skier services, the Peru Express and Argentine Lifts as well as child care. Mountain House offers skier services including lift tickets, ski school, children’s center, retail shops and dining, the new youth zone complete with arcade, Bite Me Pizza, Last Lift Bar and lift access to the lighted A51 Terrain Park. The Cinnamon Ridge III Lodge sits on a stream with views of the Mountain House lift from the deck and of the Gondola out of the bay window. We are 175 yards to the base of Mountain House and skiing. The Rocky Mountain Resort Management property is an end unit with no building directly to its side allowing a lot of natural light into the unit. The bike path out back takes you to the slopes and old keystone. 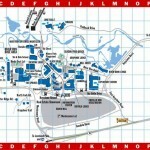 River Run Village is a short 5 minute walk. There are several places to eat within a stones throw, and two rental shops as well as a liquor store and every other convenience you could need. 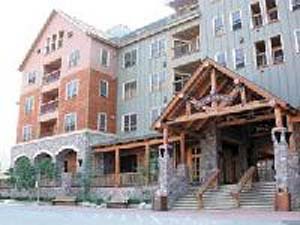 The Gateway Mountain Lodge condo building is a beautiful lodge with massive cedar timbers, stucco siding, and mountain stone to create a rugged and elegant feel. 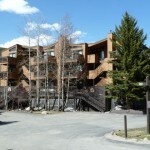 Located in the middle of Keystone Colorado in the Mountain House area close to River Run Village, the Gateway Mountain Lodge has a spacious lobby, a large stone fireplace, an indoor pool, hot tub, sauna, ski and bike storage, gas barbecue, exercise room, laundry facilities, ice machines, secure underground heated parking, and all the amenities you need for your winter or summer vacation. Situated within walking distance to the ski slopes, The Gateway also offers a free skier shuttle to drop you off at River Run Village. Whether you are looking for a dining experience or food to make on your own we are steps away from a convenience store, liquor store, restaurant and spa. Sitting on the river with views of the mountains from the deck, Key Condos is a great place to stay on your vacation when you need Keystone Colorado lodging. This unit is 150 yards to the base of Mountain House and skiing. The bike path out back leads you to the slopes and to old keystone. From the front, River Run is a short 5 minute walk away. 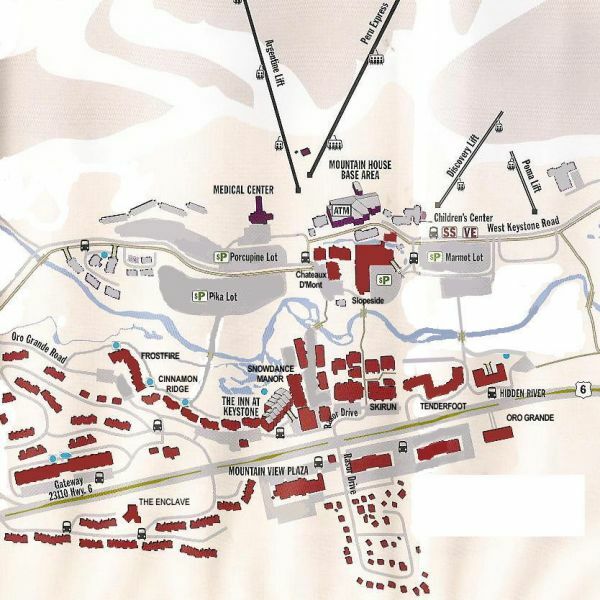 There is also a shuttle that stops 10 yards from our door to take you anywhere in Keystone. There are several places to eat within a stones throw, and two rental shops as well as a liquor store and every other convenience you could need. 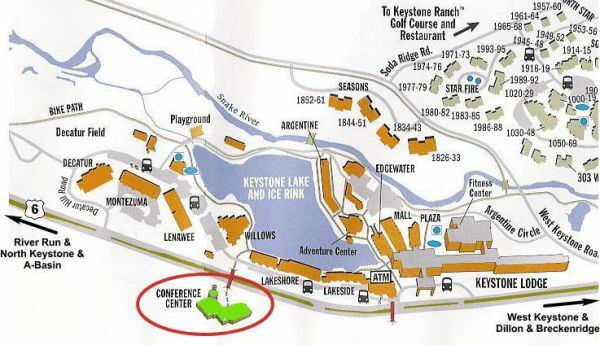 Located in an Aspen forest, North Keystone Colorado offers easy access to the Keystone Colorado Conference Center and Lakeside Village. North Keystone enjoys great views of Dercum Mountain and our locations offer high quality accommodations for a good value. They are a quick shuttle ride away from the lifts or River Run Village. Come enjoy the spectacular views and comfort of our mountain home in Antlers Gulch. The private balcony provides wonderful views across to the mountain range. The beautiful stone gas fireplace is great for cozy evenings. 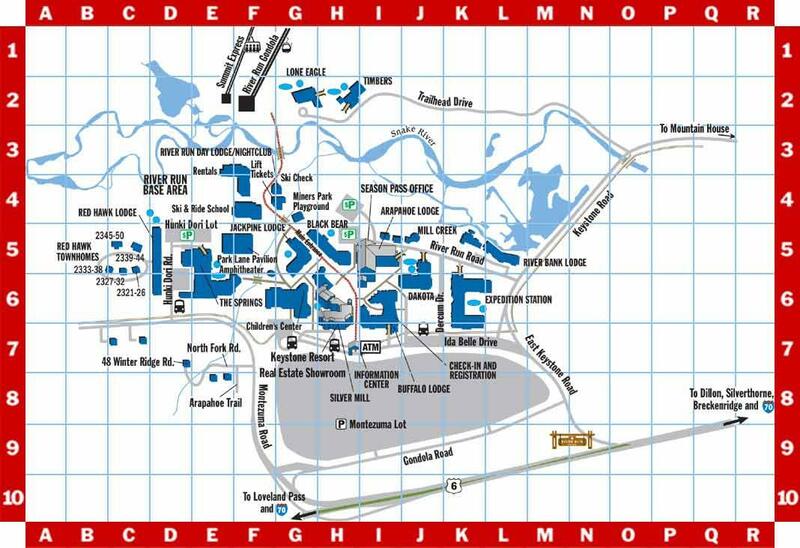 A short, five plus minute walk takes you to Keystone village. A quick shuttle ride takes you to the slopes and River Run Village. Our spacious condo sleeps six people, has two full baths, a fully equipped kitchen, and everything you need for a wonderful mountain vacation, summer or winter. 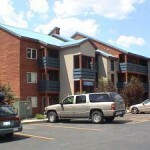 If you still have more questions about our Keystone condo rentals, please give us a call. The Tennis Townhomes are located right at the base of Tenderfoot Mountain, surrounded by mature trees. 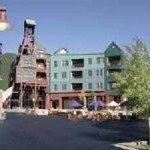 Tennis Townhomes is the quiet mountain getaway many travelers are looking for when they think of a mountain vacation! Tennis Townhomes are central to everything in Keystone including restaurants, shops and entertainment. 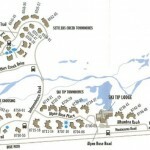 Nearby bike trails lead down the hill to the Keystone golf courses and Lake Dillon. A free shuttle stop is right at the edge of the property and can take you all over Summit County. 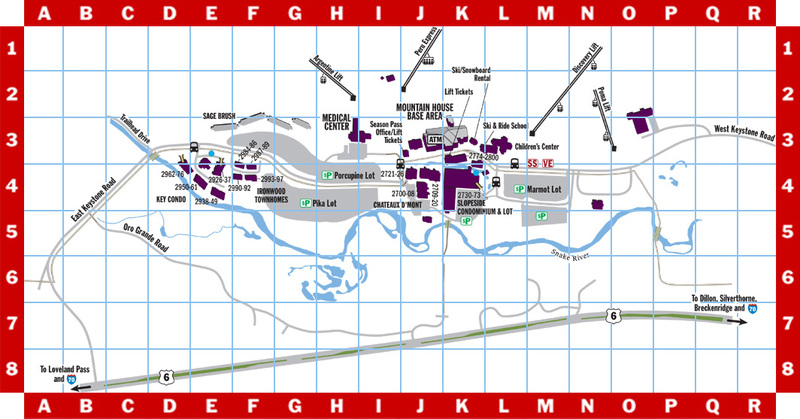 The Keystone Lake/Ice Skating and the Lakeside Village are also within walking distance. 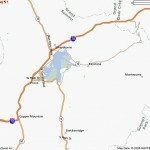 The wilderness area of Keystone Colorado offers easy access to Keystone Colorado’s two golf courses. Enjoy hiking trails and the bike path in the summer and the winter wonderland that comes with winter. The Keystone Colorado lodgings in West Keystone have views of the Snake River that are always a spectacle of nature’s wonder. We offer a short, free shuttle ride to both villages and the lifts and all properties have access to hot tubs and most have access to heated pools. These quiet, affordable properties border the White River National Forest and are one of the best places in the Resort to feel close to nature. 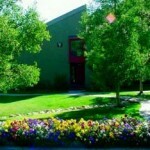 Take advantage of being close to the golf courses or walk down to the Snake River along the Keystone Colorado Bike Path. The Location of Flying Dutchman is tranquil and serene, sitting in the pines of Keystone’s Wilderness area. The Flying Dutchman is a short walk to the community pool and hot tub, sauna, and grilling area. Properties offer exquisite views from the deck into the pine trees of Keystone. This Lodge is a short 1 mile drive to the base of the Mountain House Lodge or take a free shuttle bus ride. Our properties include a beautifully maintained and well-appointed unit with a good sized deck. The bike paths take you all over Keystone and beyond. There is also a shuttle that stops just outside the lodge that will take you anywhere in Keystone Resort. There are several places to eat at the Lakeside and River Run areas, along with a rental shop as well as other conveniences. Available Units – COMING SOON!! This beautiful one bedroom, one bathroom rental is located within minutes of Keystone Colorado Resort’s base area ski lifts. East Keystone offers a peaceful forest setting of Lodgepole Pines, Aspens, and Colorado Blue Spruce. Refresh your senses with excellent skiing and snowboarding. During summer months, East Keystone offers invigorating biking and hiking. With over 200 miles of interconnected paved trails, easy access to ski lifts, restaurants, village activities and views of beaver ponds and the Snake River right from your Keystone rental. This unit is ideal for anyone seeking time away from their busy day to day life. 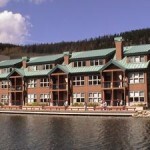 Relax in our spacious and comfortable Keystone condo rentals located right on the lake! Shop at antique stores, browse through art galleries or eat at an authentic restaurant. Lakeside Village has something to do for the whole family all year round. Come to the Taste of Keystone food festival during the summer or ice skate on the lake during the winter. 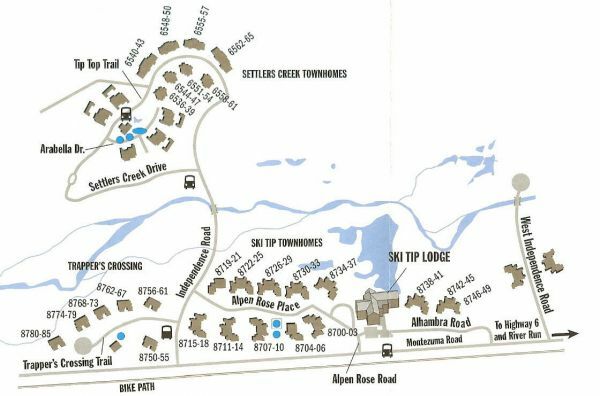 Our Keystone properties are within walking distance of Keystone Colorado Lodge Fitness Center, Après Ski, the Keystone Colorado Conference Center, and Healthspring Massage areas. We even provide access to a swimming pool and hot tubs with our amazing condo rentals. Did you know that Keystone is home to the most land in Summit County and offers the longest ski day in Colorado (8:30am-8pm)? With a newly renovated luxury spa, easy access to some of the best slopes in the state and a 5-acre ice-skating rink, Keystone is the best place to book a vacation rental. This condo is comfortable for a family of four and includes easy access to Keystone Village shops, galleries, and restaurants. Walk or bike through endless trails, stop by the children’s playground, ice skate at Keystone Lake, and much more! Keystone Village is the best place to be! The evolution continues. Keystone has invested in improvements to the village restaurants, bars, outdoor concerts and night skiing experience. Expect even more snow-making, grooming, cross-country skiing, snowshoeing and overall value. Mountain Stats: 230 inches of annual snowfall / 3 mountains / 3148 skiable acres / Vertical Rise: 3,128 ft. / Top elevation 12408 ft / Base 9128 ft / Number of Trails 135 / Longest run 3.5 miles / 19% beginner, 32% intermediate, 49% expert. 9280′ is the perfect place to try some of the best Colorado craft beers. Sample a variety of craft cocktails or on-tap favorites from friendly and seasoned bartenders. Their extended menu is perfect for a mid-day snack on the best patio in River Run, or a mountain feast after enjoying some of the best skiing in Colorado. Locals rave about 9280’ Tap House Nachos, their frosted Margaritas, and their excellent selection of sandwiches, wraps, salads, chilis and appetizers. If you’re looking for the best cup of coffee in Keystone, then you need to stop by Inxpot. 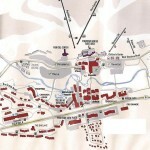 Inxpot is located in River Run Village right near the base of the gondola. They are opened every day at 7 am serving some of the best breakfast sandwiches in town. Come in on Friday or Saturday nights, and enjoy amazing sushi! Inxpot is a local favorite, and you’ll see why when you stop by before heading off to your busy day! Kickapoo Tavern is one of the best bar & grill restaurant and apres ski bar in Keystone Resort. If you’re looking for a great burger in Summit County, and an affordable yet diverse menu, you won’t be disappointed with Kickapoo Tavern. Their food is prepared from scratch, and their staff provides one of the friendliest atmospheres in town. Meet up with your friends for their happy hour and enjoy fantastic Colorado microbrews or bring your family for a homestyle American meal. Now opened for Lunch, Luigi’s Pasta House is a family-friendly, polished casual Italian restaurant serving happy customers for over 20 years. Featuring “Lunch sizes” of all their homemade classic plates of pasta, Flatbread Pizzas, along with Classic Italian Subs and Sandwiches. They use only the highest quality ingredients making Luigi’s the place to go to enjoy an afternoon of sun right in the heart of River Run Village. Luigi’s offers a progressive Happy Hour starting at 3 pm where beers start at only a $1. Price goes up every 30 minutes, so make sure you meet up with your friends early! Located in the heart of River Run Village, The New Moon Cafe is a casual classic rock cafe, which serves their full menu all day long and provides a pet-friendly patio. Their full bar offers the largest selection of local beer and wine in Keystone, as well as an assortment of signature cocktails and hot drinks. Featuring homemade soups and salads, lunch-fresh gourmet paninis, and homemade sweets, The New Moon Cafe is the ideal après ski stop. Come during happy hour, enjoy live music, try some new wines, or even sing during open mic night! Try Pizza on the Run’s amazing signature braided crust Pizza or homemade marinara with Linguini, right here in Keystone. This place is perfect for little ones, serving chicken tenders, spaghetti with meatballs, kids pizzas, and macaroni & cheese. Get a whole pie for your hungry group or grab a slice and go. Pizza on the Run prides themselves on their speedy service and quality food. Enjoy some soup and salad with delicious garlic bread for a River Run lunch break. Rocky Mountain Chocolate Factory started out as a small town chocolate shop in Durango, Colorado and quickly became an international chocolatier. With locations in the Lakeside Village as well as in River Run Village, you’ll have easy access to larger-than-life chocolates, the finest hand-dipped caramel apples, freshly made fudge and dipped strawberries. Satisfy your sweet tooth craving. Serving some of the best breakfast burritos, chicken fettuccine alfredo and nachos in town, the Spoon Cafe is a fun choice for breakfast, lunch, dinner and apres ski. Located in River Run, this place is perfect to create unforgettable Colorado experiences from the bottom of one of the best mountains in the state. Need some coffee before you hit the slopes or adventure through endless trails? Starbucks is opened all year round and provides a great place to recharge with a quick snack and a cup of coffee before you hit the slopes. The Zuma Roadhouse is located in River Run Village and provides a contemporary eatery, in a family friendly atmosphere. Their fresh, modern menu and mouth-watering rotisserie is sure to satisfy everyone. Take advantage of great deals during their happy hour from 3 pm – 5 pm or come back with some friends for late night happy hour in Colorado high country from 9 pm – 11 pm. This legendary steakhouse offers a plethora of microbrews and even take-out if you’re on the go! Looking for quality Mexican food? Dos Locos is a family Mexican Restaurant featuring excellent margaritas, fresh Mexican food, a wide selection of beers, and one of the best happy hour in town. Their menu consists of a fantastic variety of Mexican entrees as well as non-Mexican options. They even offer a gluten free menu. If you’re looking for the best authentic Mexican food in Keystone, then stop by Dos Locos. Play pool or foosball in a relaxing, intimate atmosphere within walking distance of Keystone’s Mountain House Ski lifts at the original Goat Soup & Whiskey Tavern. This underground bar offers cheap pints of Pabst Blue Ribbon beer, great food, rockin’ live music and more! A local favorite featuring great burgers, pita sandwiches, freshly made soup, and much more at an affordable price! If you’re looking for a local bar with awesome bands and a small town vibe, then stop by the Goat Soup & Whiskey Tavern. Looking for the best slice of pizza in Summit County? Pizza 101 offers hand-tossed & brick oven fired pizzas, as well as unique Italian specialties. Try a stromboli with a fresh salad or feed your family with a 20 inch Godzilla pizza. This Pizzeria has something for everyone. The Snake River Saloon & Steakhouse features fine dining and dancing with live music on the weekends. This Keystone legend offers a kid’s menu, a bar menu, and the best steaks and seafood in town. Providing a cozy bar feeling for locals and guests for 30 years, The Snake is the perfect spot to enjoy a cocktail by the fire after a long day skiing. Located on the mountain side of Highway 6 and 1/4 mile before River Run Village, this classic pub is easy to get to and offers daily happy hour specials. 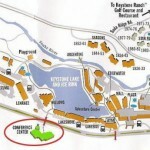 The Bighorn Steakhouse is located on the 3rd Floor of the Keystone Lodge & Spa next to the picturesque Keystone Lake. Enjoy an outstanding steakhouse dining experience in a casual and relaxed atmosphere. Bask in the sun with breathtaking views of the Keystone Lake & The Continental Divide as you eat freshly cooked cuisine. Watch a game, relax with some friends around the fireplace, and try a house made & freshly squeezed cocktail. Their extensive selection of craft and local beers and wines is sure to help anyone celebrate or simply wind down after a day in the Rockies. Watch ice skaters during the winter, or sit by the lake on a beautiful patio during the summer, at the Edgewater Cafe. This Café serves a delicious variety of specialty sandwiches, salads, and homemade soups. Stop by their Lakeside Deli for a quick breakfast or deli sandwich. Stop by the 2nd floor of the Keystone Lodge and Spa for breakfast sandwiches, mouthwatering paninis, and many other snacks including specialty coffees, grab and go sandwiches, and much more. If you’re looking for a sit-down pizza restaurant, then Pizza on the Plaza is the place to go. This pizzeria is located right in Lakeside Village with a menu that expands far beyond pizza. Try some of their salads, appetizers, sandwiches, and soups. Their private patio allows you to enjoy the view of the lake in peace and quiet. Pizza on the Plaza even offers a full bar with great happy hour deals and $1 slices. The Tenderfoot Lounge is perfect for a casual meal, local beers, and a friendly atmosphere. Relax in a comfortable chair with a glass of wine, gather around the fireplace with some friends, or watch a game. Take a breathtaking ride in a gondola to the top of Keystone’s North Peak for a dining experience unlike any other. The divine creations of Aspenglow Stube’s award-winning chefs and the romantic atmosphere of this mountaintop legend will leave you speechless. Try the highest AAA Four-Diamond™ dining experience in the United States. Enjoy homemade lasagnas and pasta dishes, as well as handcrafted pizzas topped with fresh ingredients and organic cheese, while taking in some of the best slope side views. This ski in and ski out lodge is perfect for the entire family or if you are simply relaxing at the end of the day. Der Fondue Chessel is a fondue lover’s dream, whether it’s a cozy dinner for two or a fun group gathering. Enjoy an authentic fondue experience atop Keystone’s North Peak Mountain. Der Fondue Chessel offers a very comfortable atmosphere with an element of adventure as you arrive by gondola. Have you ever heard of a mountain beach restaurant? Labonte’s features daily live music, gorgeous views of the mountains, and the best Barbeque in town! Located at the Base of the North Peak in Keystone Resort this cabin is only open during ski season (December through April). Stop by for a drink, snack, or chill out and enjoy the beach. Originally Keystone’s Mountain base area, the Mountain House Lodge is a convenient location for all skiers, experienced or not. 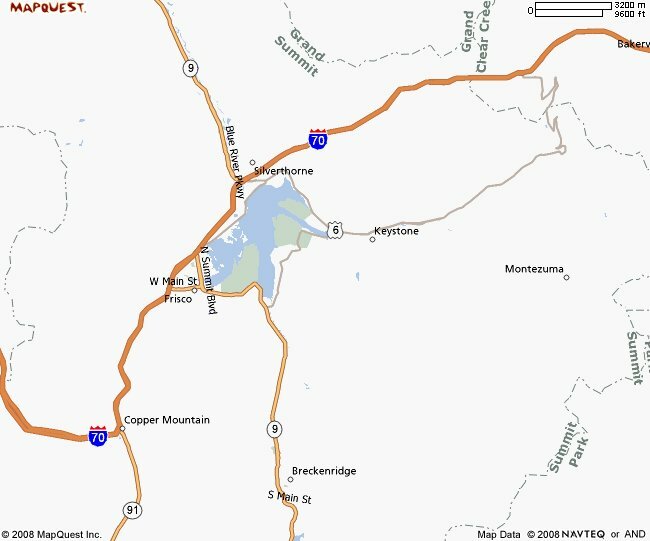 Situated in a thick forest of pines, The Mountain House neighborhood is located between Keystone Village and River Run Village and is less than 200 yards from the ski lifts. With a lift ticket office, rental shops, a ski school and children’s center, retail stores, dining, and more, The Mountain House has everything you need. Take a complimentary shuttle to the nearby Keystone Village or try the food court, Black Diamond Pizzeria, or the Last Lift Bar for countless dining options. Take a gondola ride, the Santiago Express, or Wayback chairlift houses to access The Outpost Lodge atop North Peak. With three eating options to choose from once you reach the top, you’re sure to find something for everyone at the Outpost. The spacious deck offers fabulous views of the Ten Mile Range, so grab a burger at the TimberRidge Food Court for lunch, join some friends for live music and fondue at Der Fondue Chessel or have a romantic dinner at the Alpenglow Stube. The Outpost Lodge is available summer and winter. Open during the winter and summer, the Summit House Food Court can be reached by the River Run Gondola, the Montezuma, the Ruby Express, the Summit Express and Ranger lifts. Featuring a wide variety of menu options including Epic Burgers and a create-your-own Asian noodle station, your kids are sure to love these meal options. Enjoy a hot cocoa from the top of the Rockies bar or sit down and relax before heading back out to the slopes. If you’re looking for an authentic steakhouse experience, Keystone Ranch is the place to go. This ranch offers an elegant, rustic atmosphere with a 1930’s feel. They use locally sourced products and the finest quality meat. Savor a five-course meal featuring wild game specialties or choose from a variety of entrees, soups, and salads. This historic 1800’s stagecoach stop was once the private home of Keystone’s founding family. Having earned the #6 spot on OpenTable’s Top 100 list, this is one of Keystone’s top restaurants. Try the rotating four-course dinner menu and experience the exceptional service that continues to get excellent reviews. Open 7 days a week, 2 dinner seatings, 5:30pm- 8:45pm. Take a ten-minute shuttle ride from Keystone Adventure Center in Lakeside Village to the back ranch property to board an authentic horse drawn sleigh. The Wrangler will talk with you about the history of the area and introduce you to the horses while you enjoy a twenty-minute ride to a historic ranch homestead. Choose from Grilled Salmon, NY Strip, Grilled Chicken, or a vegetarian entree such as Tofu loaf and finish with the best Dutch Apple pie and homemade ice cream you’ve ever tasted. Keystone Resort offers some of the best shopping around. Shop for skis, outdoor gear, and even souvenirs. A vacation isn’t a vacation without some shopping involved. 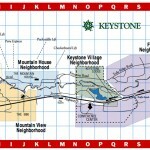 Keystone provides a variety of shops throughout its three villages; Lakeside Village, River Run, and The Mountain House. Gorsuch supplies the finest ski equipment, footwear, outdoor gear and alpine clothing. Inspired by the Alps and the Rockies, the Gorsuch family takes great pride in what they sell. Call 970-262-0459. The Rockin’ R Ranch Trading post offers items and souvenirs unique to Colorado in a modern-day version of the old trading post. They even provide basic groceries and a variety of knick-knacks. Call 970-496-4631. Starting out as a small town chocolate shop in Durango, Rocky Mountain Chocolate Factory has proven to be one of the best places to go to for delicious hand-dipped caramel apples, fresh fudge, dipped strawberries and larger-than-life chocolates. With two locations, one in Lakeside Village and one in River Run Village, this shop is wonderful for anyone looking to satisfy their sweet tooth craving or to buy a gift for someone back home. Amazonias offers beautiful sweaters that were artistically hand-knitted from fine natural fibers at affordable prices. Call 970-262-6655. 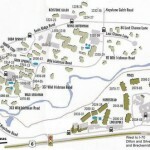 Located both in the Mountain House base area and River Run, this is a one-stop shop. Keystone Sports offers a huge selection of apparel and rental equipment. They’ll even store your gear overnight at no charge! Get advice from experts for your snowboard or ski rental along with everything you need for an excellent day on the slopes. Call 970-496-4398. Shirtz features a unique selection of fashion fleeces, logo wear, polo shirts, sweatshirts and other cutting edge resort apparel for all ages. Christy Sports features ski gear, board gear, hiking and camping gear, accessories and more! This is a premier four-season, full-service shop with demo specialists and much more! (rentskis.com) Located just across from the lift ticket office and day lodge, River Run Rentals provides everything you need for a fantastic day on the slopes. They are a full-service rental shop and even perform repairs if need be. Surefoot is known as the ski boot shop at Keystone Resort. No need for aching feet. The boot specialists at Surefoot will customize foam liners, perform any primary boot repair and lead you in the direction to a comfortable day on the slopes. With two computerized orthotic fabrication systems and over 75 models of ski boots, Surefoot is the place to go for your footwear. Located in River Run Village, the Zuma Road House is a legendary steakhouse that offers a variety of microbrews and provides a contemporary eatery, in a family friendly atmosphere. Come during early happy hour from 3 pm – 5 pm for some great deals or come back with good company for late night happy hour from 9 pm – 11 pm. Kickapoo Tavern offers an excellent selection Colorado microbrews and hearty portions of home-style American food. Looking for small town vibes in a local bar? Then play pool or foosball at The Goat, located within walking distance of Keystone’s Mountain House Ski lifts. Try a cheap pint of Pabst Blue Ribbon beer, dance to live music and much more! This local favorite features excellent food at an affordable price! Located at the Mountain House, the Last Lift Bar is a great place to go to for an après ski experience! Featuring delicious food and live music on the weekends, this place is perfect for an evening of entertainment. Enjoy a refreshing margarita and authentic flavors of Mexico at Mi Casa. All dishes are prepared with the freshest ingredients. Try their hand-filled Relleños or famous Fish Tacos for an après ski meal and unwind with a margarita shaken with fresh lime juice. Join friends for dinner to try their award winning Mango Duck Quesadillas, or luscious Tres Leches. Stop by the RazzBerry’s lounge for jazz music and delicious martinis. Dance on the weekends at The Snake River Saloon & Steakhouse. This restaurant offers the best steaks in town, a great kid’s menu, and a bar menu. Hosting locals and guests for over 30 years, The Snake is the ideal spot to kick back by the fire after a long day on the slopes. Sit in front of a blazing fire and enjoy a local beer along with a casual meal at Tenderfoot Lounge. Keystone has become one of the most famous places to go to experience the Rockies. 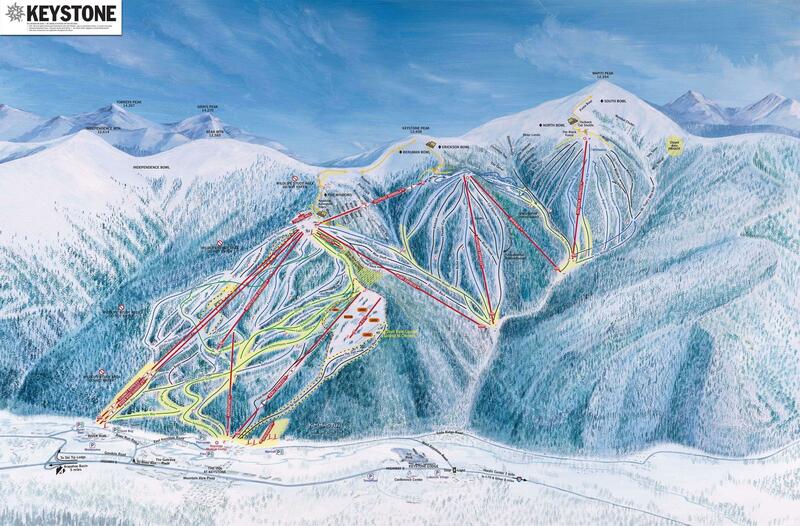 It is the largest mountain in Summit County, offering 3,148 skiable acres, 20 lifts, and two gondolas. 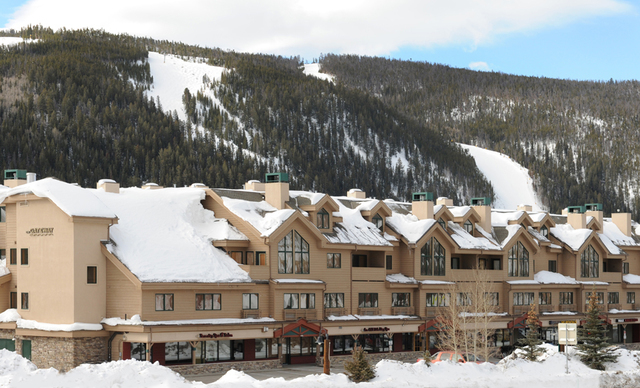 Lodging, dining, even the most extensive night skiing program is available at Keystone. Situated only 90 minutes from DIA, Keystone is a favorite for most skiers, experienced or not. Dine at one of the AAA Four Diamond restaurants or go ice skating on the largest maintained outdoor skating rink in the United States. 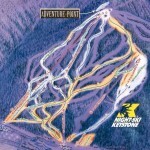 Go to Adventure Point to test your tubing, snow biking, and air boarding skills. No matter the season, Keystone has something to do for everyone. 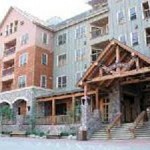 Rocky Mountain Resort Management manages and markets various properties in Colorado including Keystone. Book your lodging in Keystone with this company and let them provide you with affordable condo rental lodging and vacation packages. Keystone is known for being an affordable vacation that offers adventure for the whole family. Rocky Mountain Resort Management is here to provide you with air travel, lodging, ski or snowboard rental, ground transportation, lift tickets, etc. With properties situated less than 50 yards from the ski lifts, you can’t get any better than this! Book your next Keystone Rental with Rocky Mountain Resort Management and take advantage of great deals and insider information on ways to save on ski or snowboard rental as well as lift tickets. Each condo is fully equipped with everything you need to have a comfortable stay. Rocky Mountain Resort Management offers extended cruising runs ideal for beginners and intermediates as well as breathtaking deep powder runs for the experts. Ice skate on Keystone’s picturesque Lake or shop at an excellent collection of boutiques and cafes. All of their vacation rentals are located throughout the ski resort and only minutes away from gorgeous Arapahoe Basin ski area, Lake Dillon, horse stables, and the two world-class golf courses. From centrally located vacation rentals in all of Summit County to ski in ski out rental condos, Rocky Mountain Resort Management is proud to provide all your Keystone lodging needs. Keystone Resort has what you are looking for, regardless of if you’re here to make memories with the family, or just spending a day on the slopes. There are many activities available in Keystone. Keystone offers terrain for any level skill skier as well as a terrain park that ranks as one of the top in the country. Located just north of Adventure Point, Keystone offers beautiful tubing hills that let riders of all ages kick back and fly down. Offering single or double snow tubes, this is a perfect midday break activity to change the pace. Looking for a challenge? Keystone Resort provides cat skiing. Join our guides through some of the most challenging runs on the mountain using high-quality snowcats and create the memories of a lifetime. 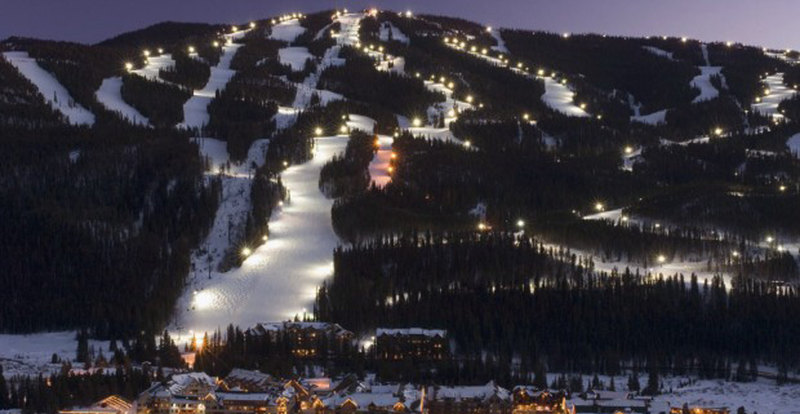 Night skiing is becoming increasingly popular and Keystone stays open late for that reason! They offer the largest night skiing terrain in Colorado, so take a break before sunset and come experience something entirely different. Keystone Resort has lodging for everyone. East, West, and North Keystone provides a quiet escape away from the hustle and bustle of the town where you can have a quiet night after a long day on the slopes. River Run is the place to go to ride all day and party all night. Mountain House is the original mountain base and is close to retail shops, casual dining, a youth zone, and the children’s ski school. It is ideal for families or individuals on the go. Lakeside Village is the right choice for larger groups interested in waterfront views of the ski runs. Located within minutes of the Conference Center, Lakeside is perfect for business conventions or corporate retreats. Keystone offers much more than skiing or riding. Take a sleigh ride, go to the Keystone Spa, go ice skating or try a dogsled tour. Check out what Summit County Colorado has to offer right here in Keystone.